On Monday we took a tour of the Lutherhaus. 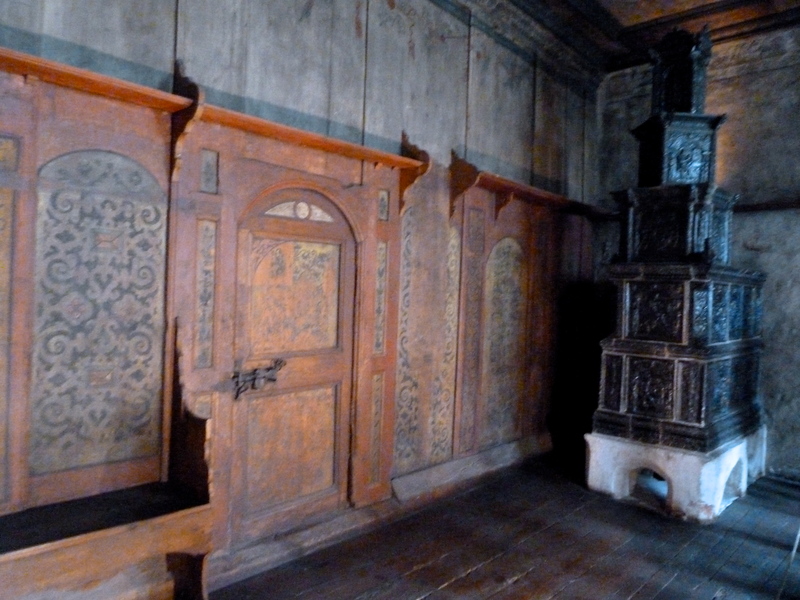 Before the Reformation, Martin Luther lived there as a monk, but later the Prince Elector, Frederick the Wise, gave Luther the building to live in. He lived there with his wife, Katharina von Bora, their five children, and up to thirty students, because part of the house was converted to a boarding house. Most of the original building is gone, except for his living room where he and his friends would have their famous “Table Talks”. 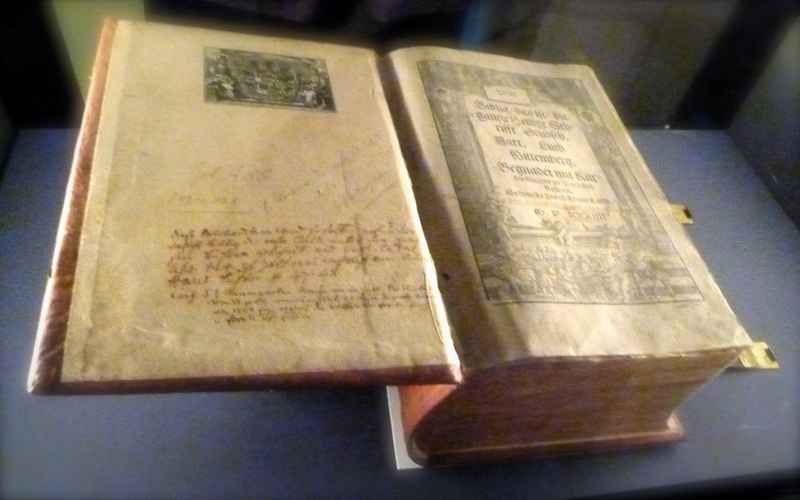 They also had Martin Luther’s Bible that he had translated into German. No matter how uncool it might be, I actually love going to museums to see and learn about history up close. Our guide was very informative. Her English was quite good, except that she mixed up feast and fast, so she told us that Luther was much thinner in his younger days as a monk because he used to feast a lot. None of us had the heart to tell her about the mix up. This week it rained a lot, meaning that it also got very cold, like 45-50 degrees cold. So, basically, winter. I was only somewhat prepared. 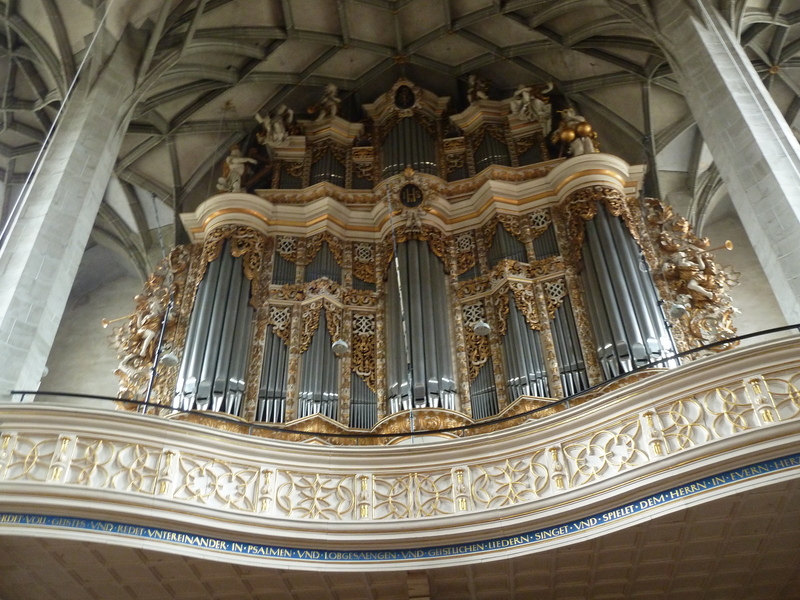 That did not stop our excursion to Halle, however. We went to visit the students at the Martin Luther Univerität Halle-Wittenberg. They made us a delicious potluck lunch and showed us the city. 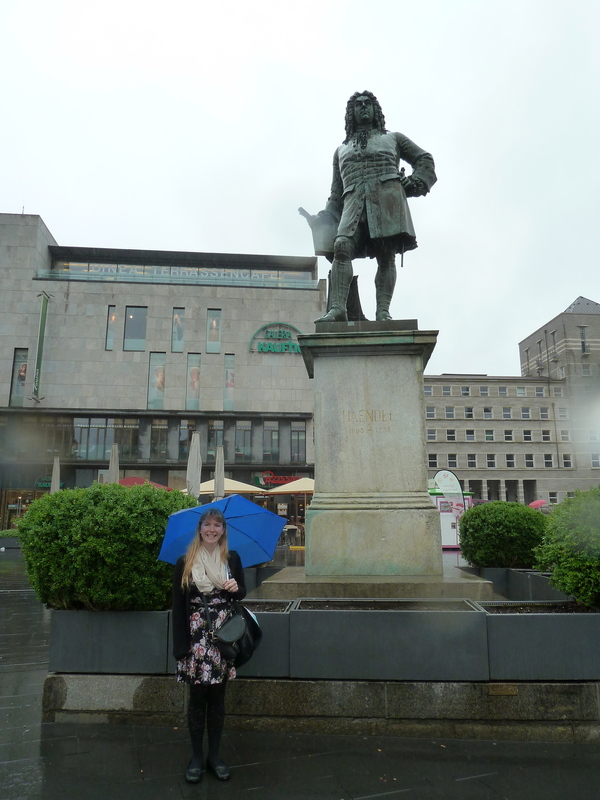 Halle (pronounced like ain’t no halle back girl) has a really pretty Markplatz (market place, or town square) with a beautiful church and a statue of the most famous resident, the composer Handel. It was a shame that Wednesday was cold and rainy, so we couldn’t really enjoy it. Around the Markplatz were lots of shops and cafés. We went into a department store that had a café/ cafeteria on the top floor and got some hot chocolate and looked out over the city. That was a nice end to our tour. Most of the rest of the week was just classes before our weekend in Berlin, where the weather was much nicer. That was jam-packed enough for a whole post, so I will tell you all about it later. We have a long weekend this weekend, and I am super excited to be meeting my very good friend Emma in Amsterdam. Unfortunately, that means my post for next week will probably be a little late. Sorry about that! Hopefully, you will also be having an awesome weekend! Until then, tschüss (bye)!